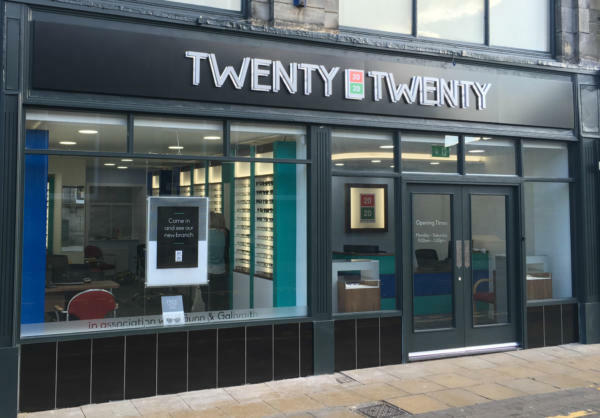 Following the purchase of Gunn and Galbraith Opticians by the Duncan and Todd Optical Group in 2014, 20 20 Opticians will officially open in Dunfermline on Saturday 21 May. Having undergone undergone a £70,000 refurbishment, the new look practice incorporates two test rooms and over 500 frames including well-known brands such as Jimmy Choo, Ray-Ban and Gucci. The official opening will begin at 9am on Saturday 21st May where visitors will be offered a variety of refreshments as well as the chance to win a pair of designer sunglasses from the branches new range.